We’re serious about your online marketing efforts. We may not offer cookie cutter campaigns, but we’re sticklers for following certain steps before campaign creation. Whether you come to us for content development and copywriting, SEO consulting, website optimization or online reputation management, we’ll be sending you a Discovery form. The process is pretty in depth, and we like it that way. It provides us with the information we need to give you a correct quote, and an added benefit for you. Simply by answering questions you may not have thought of, you’ll get a much clearer view of your needs and online presence. We’re serious about your search marketing efforts. Shouldn’t you be? 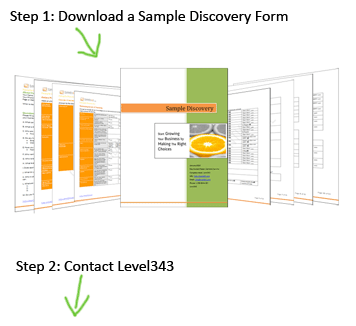 Download the sample Discovery to see what we’re about, or contact us today to discuss your project.